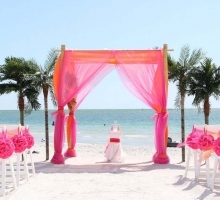 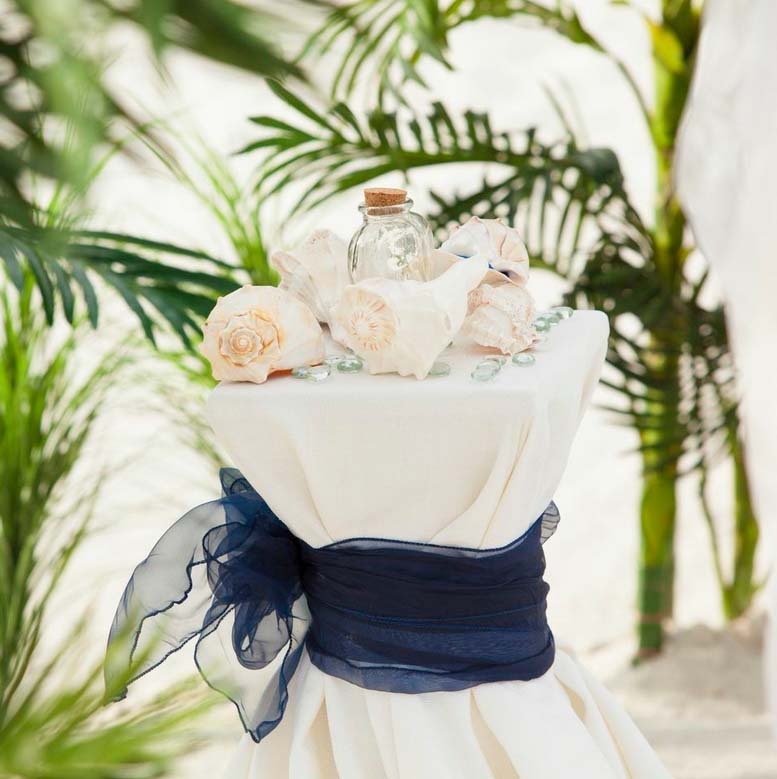 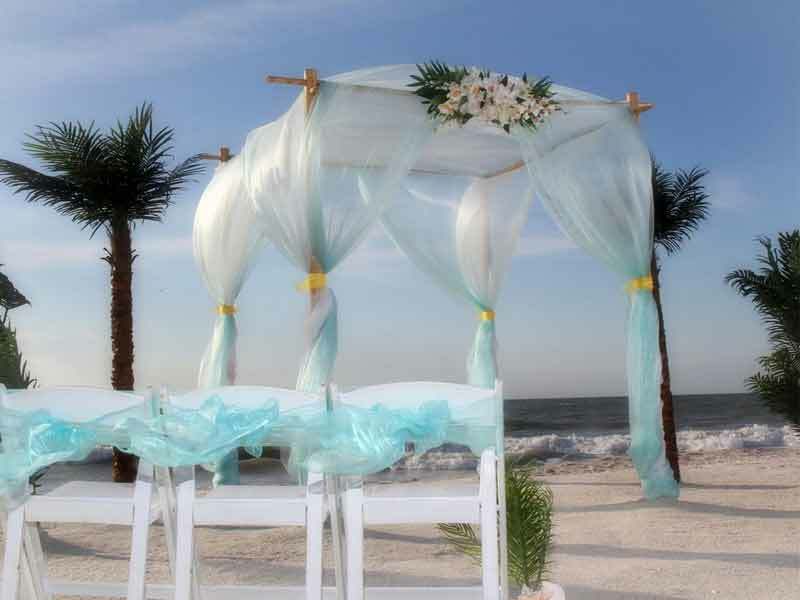 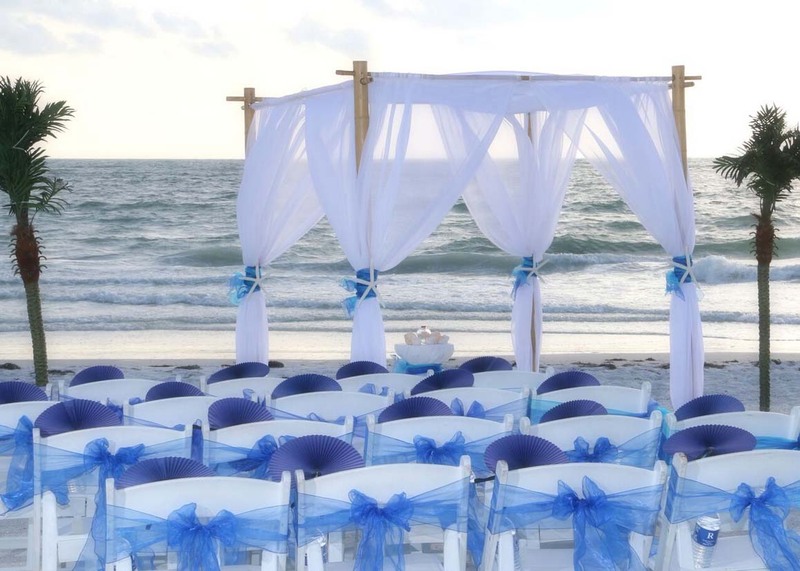 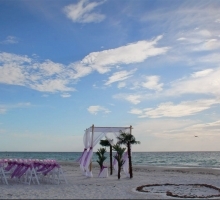 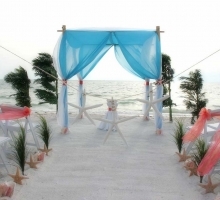 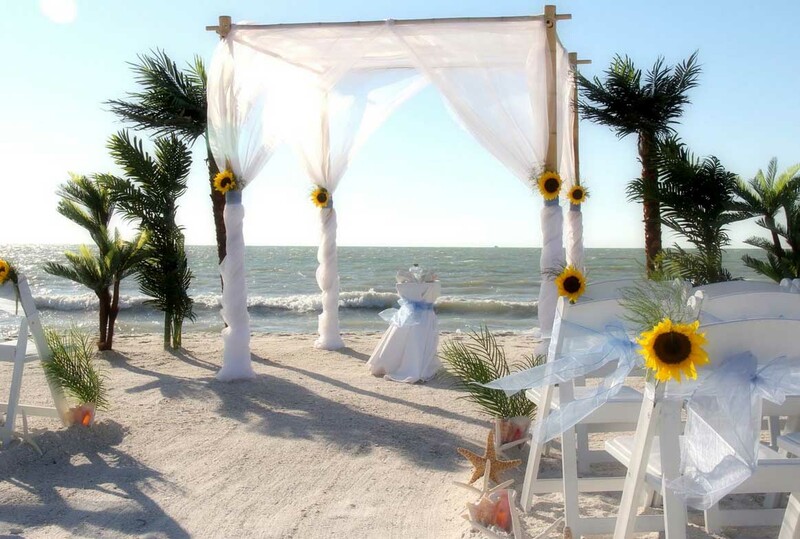 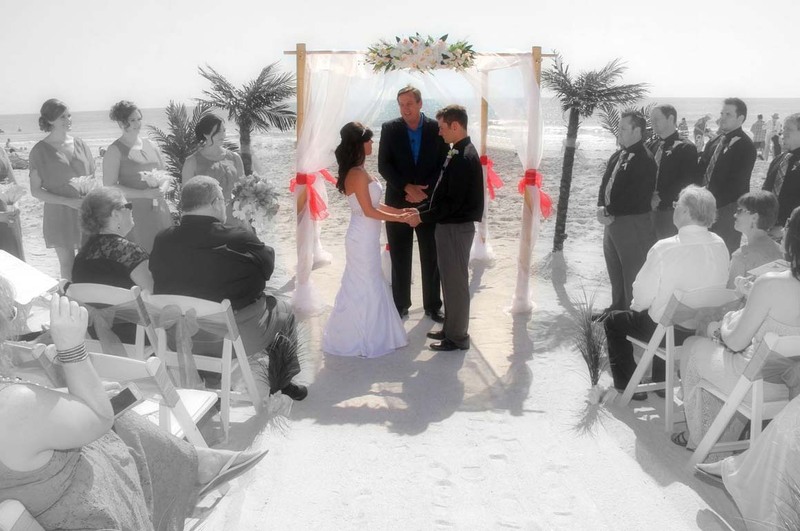 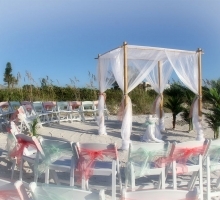 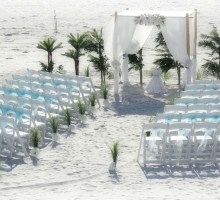 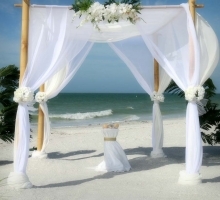 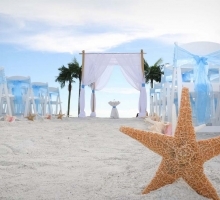 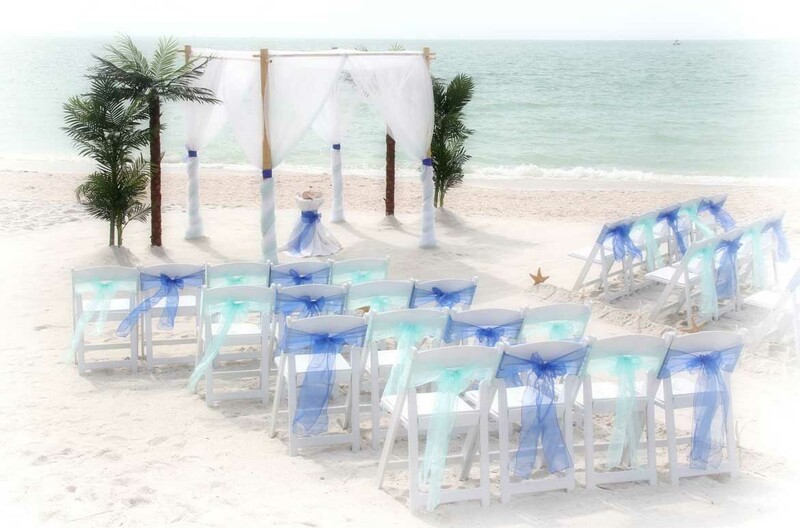 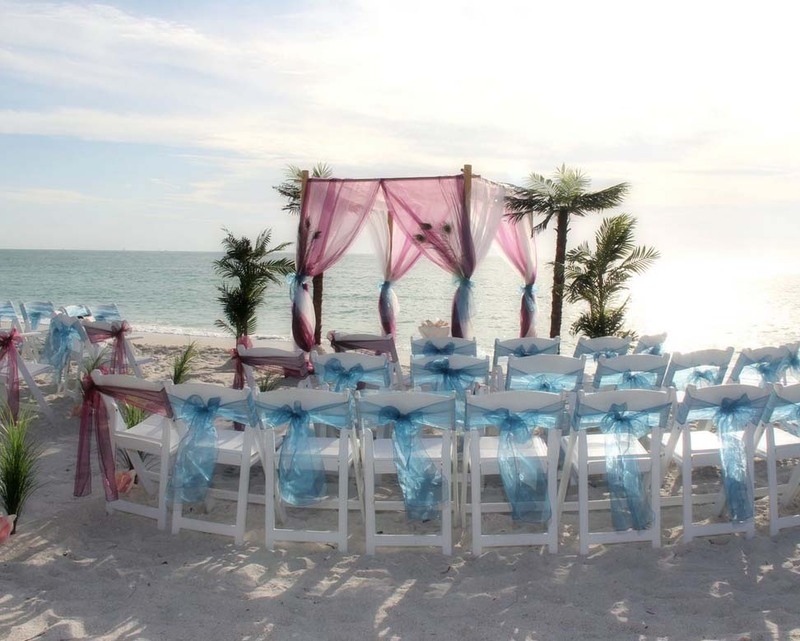 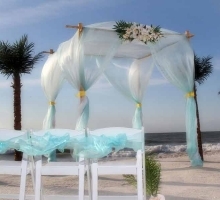 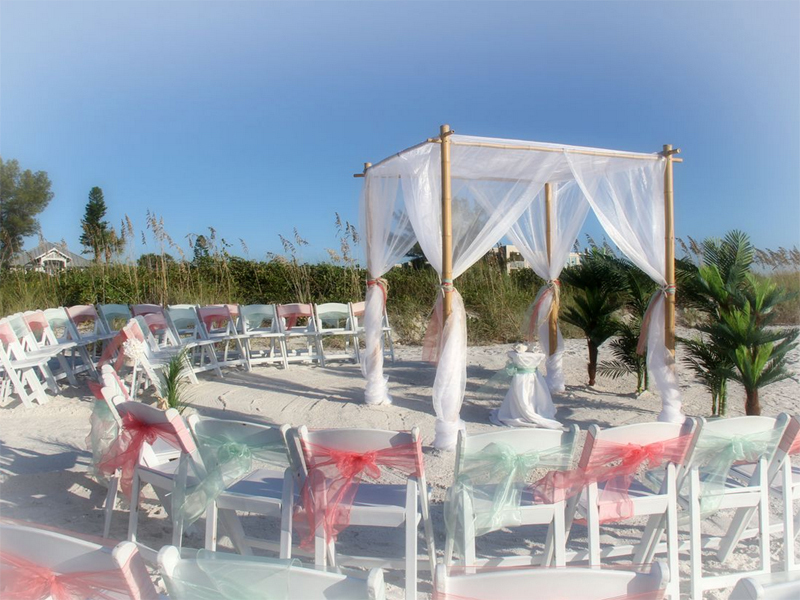 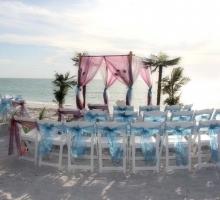 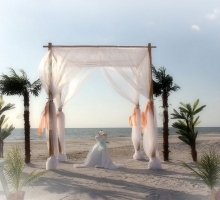 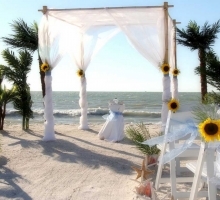 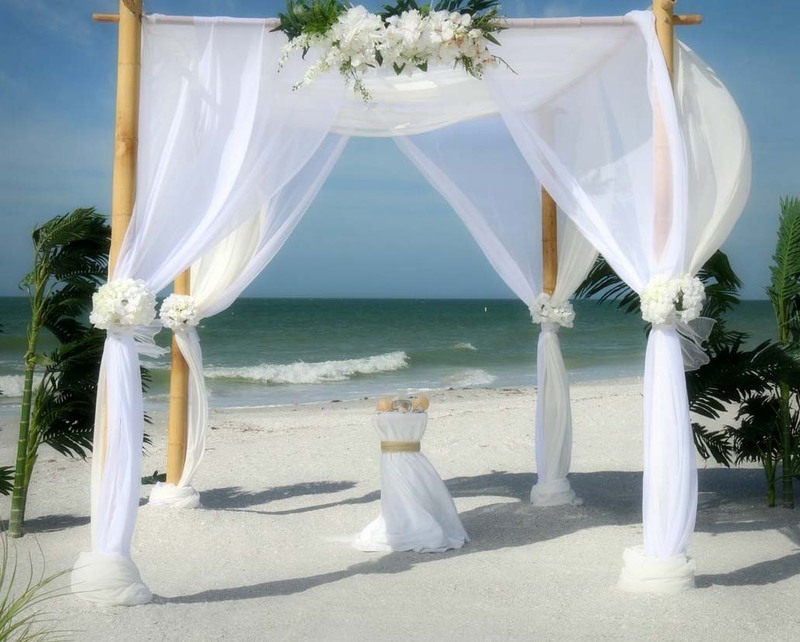 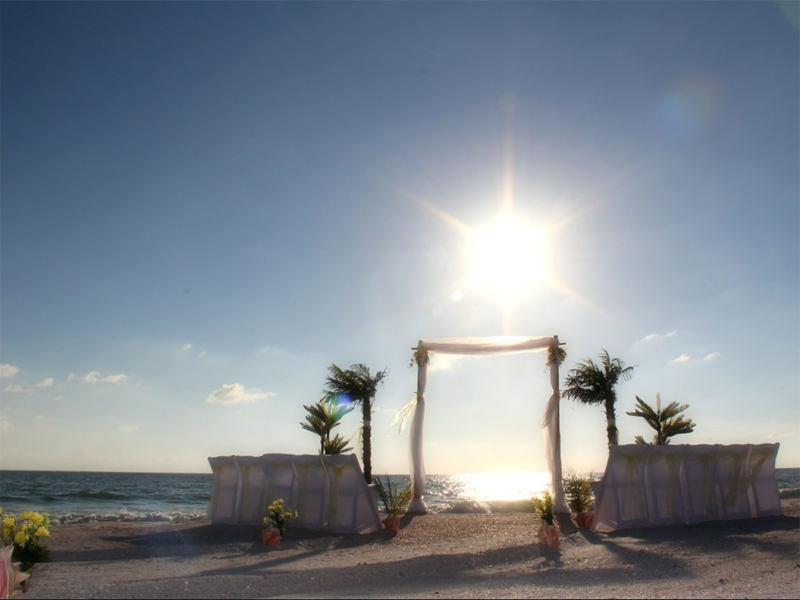 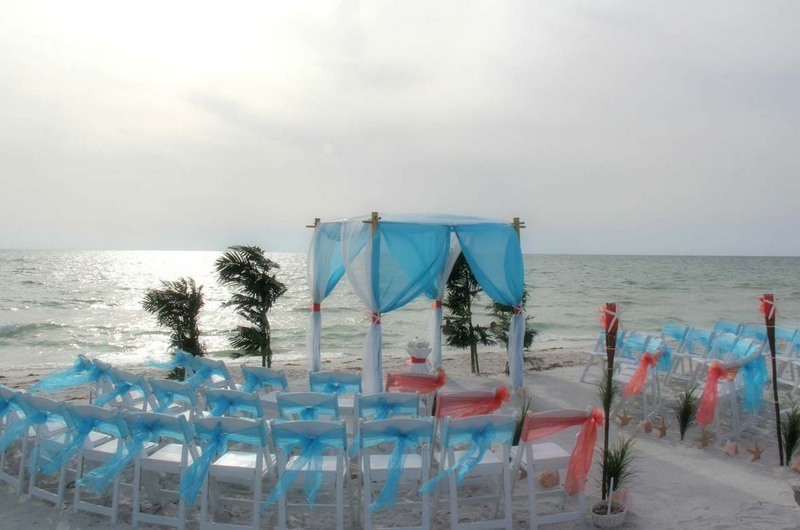 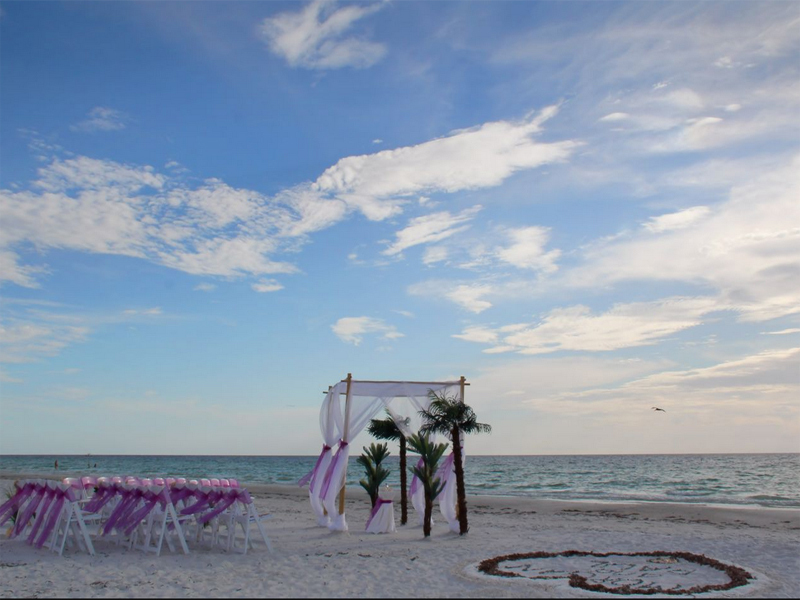 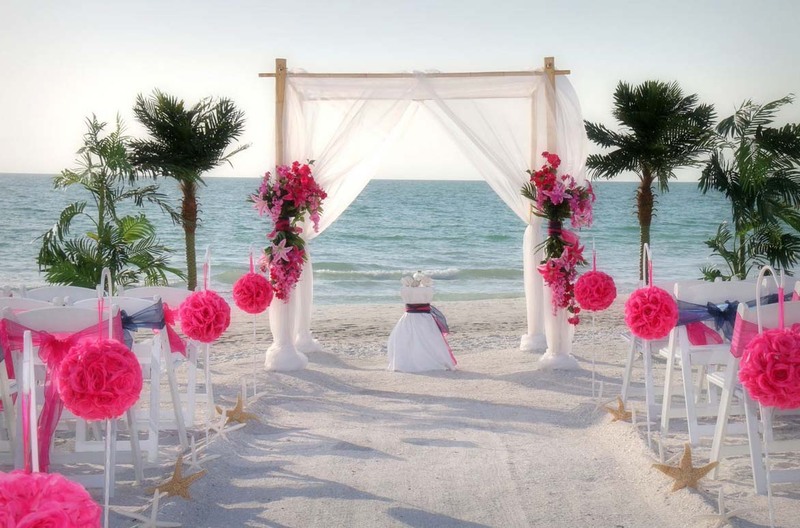 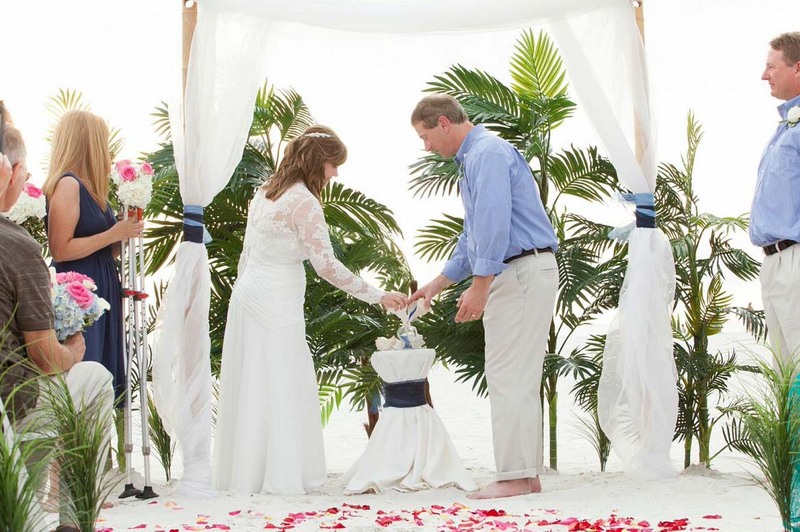 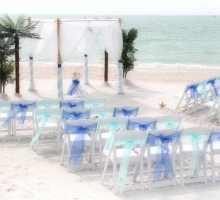 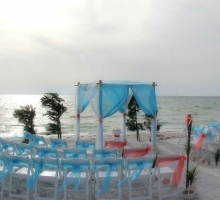 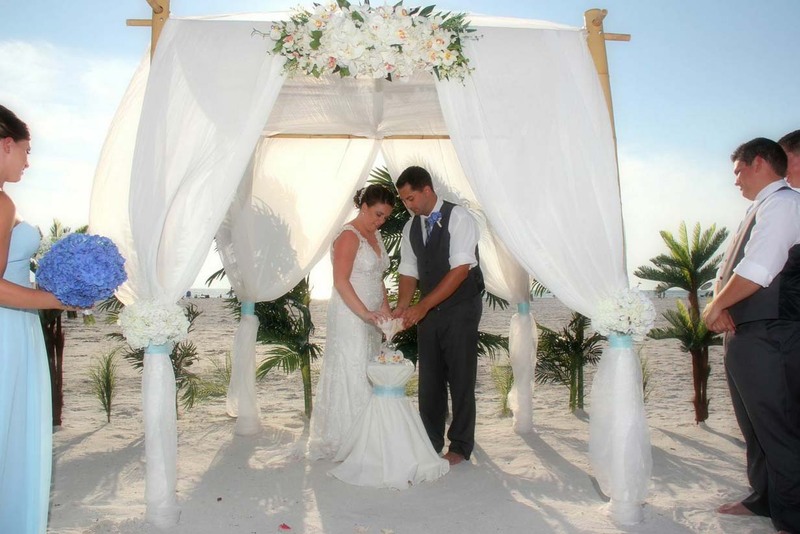 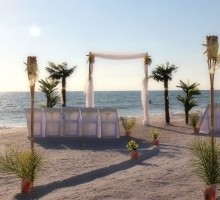 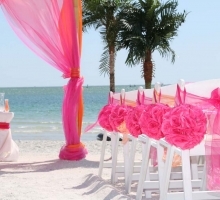 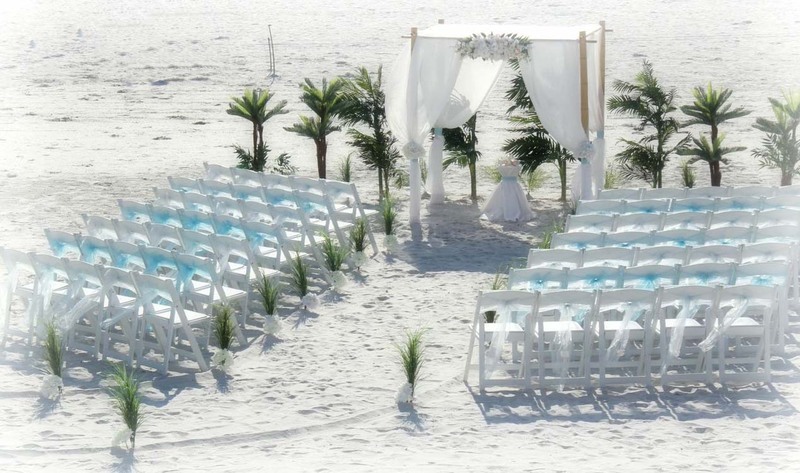 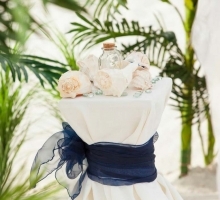 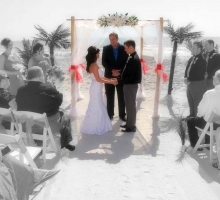 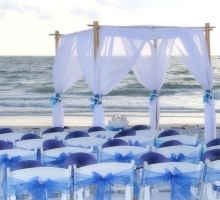 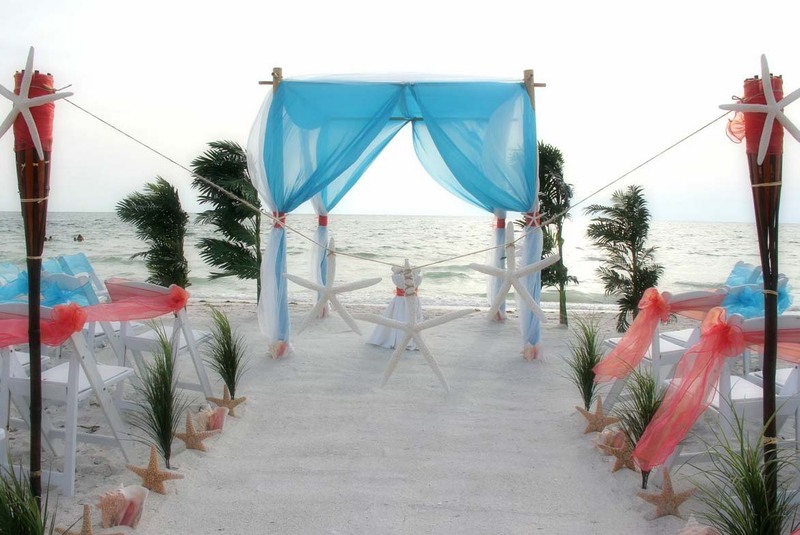 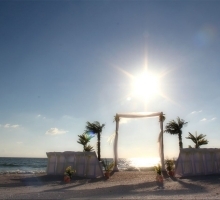 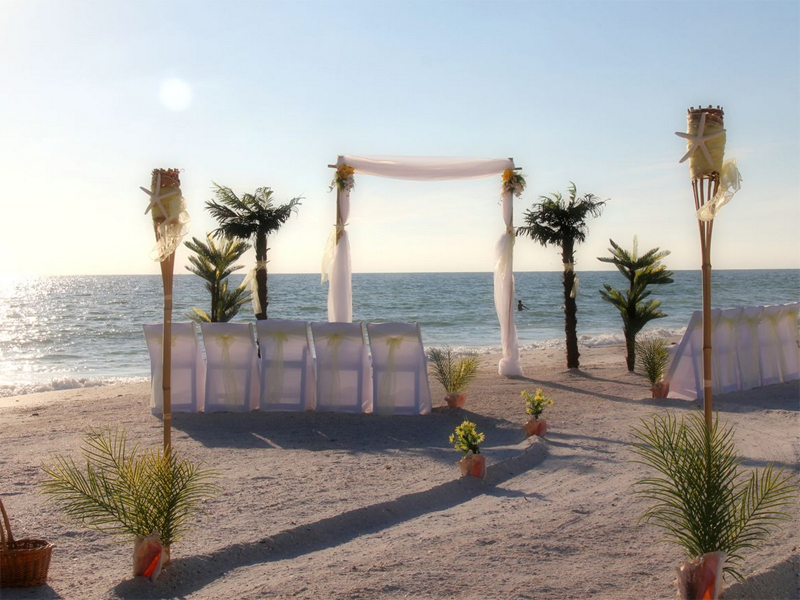 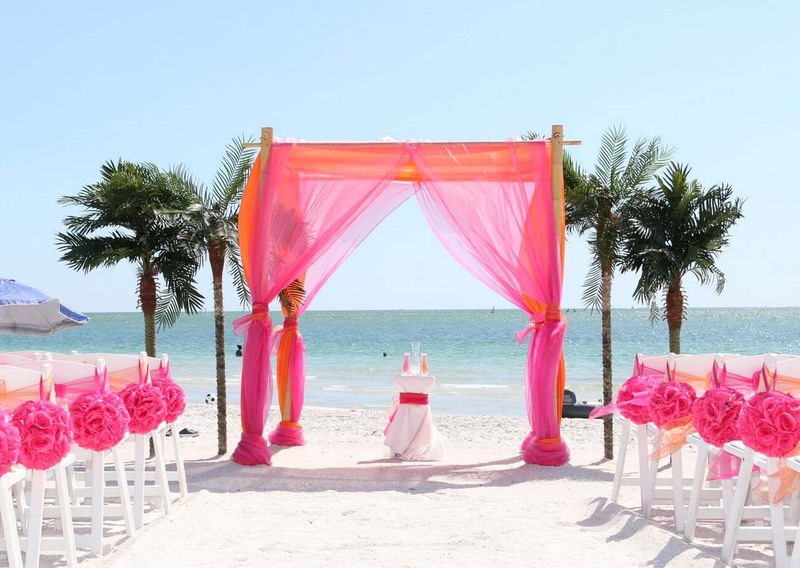 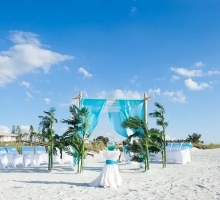 Looking for a stunning backdrop for your vows on a Florida beach? 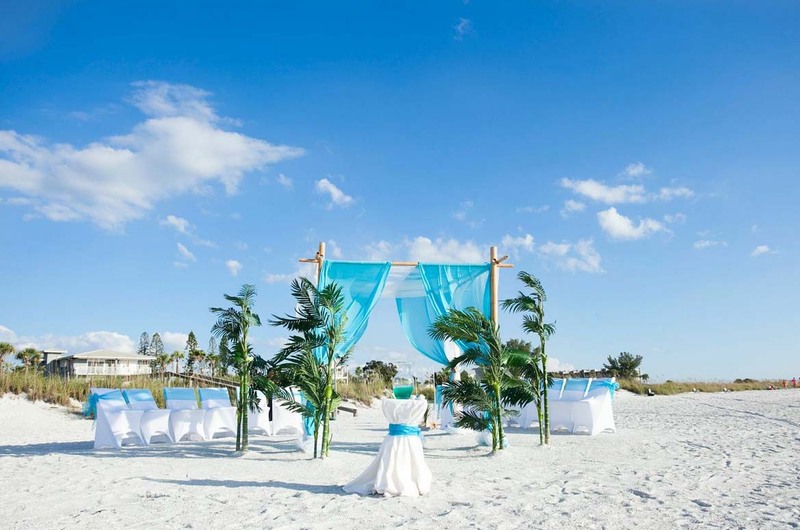 Look no further than our Island Oasis package. 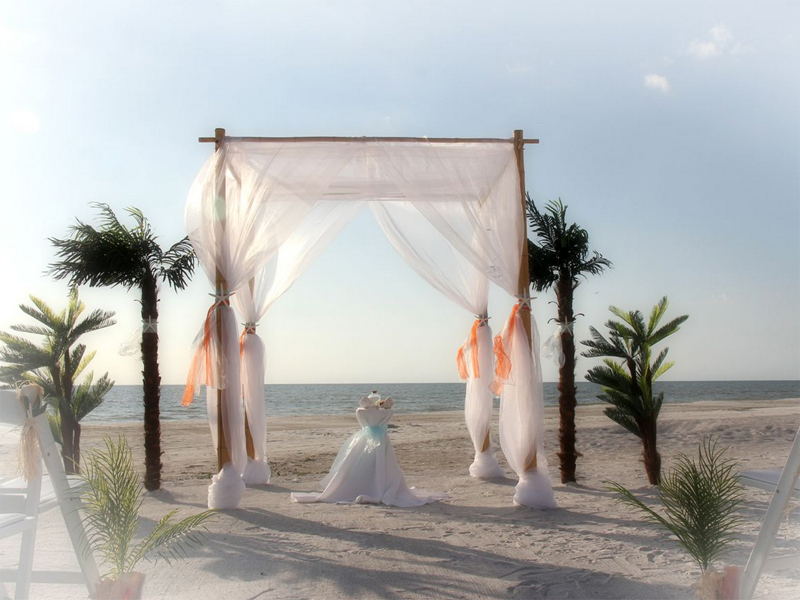 This package is perfect for the couple who want to lose themselves in the romance of the setting and the occasion. 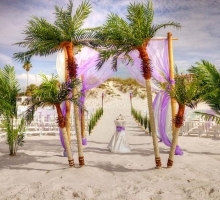 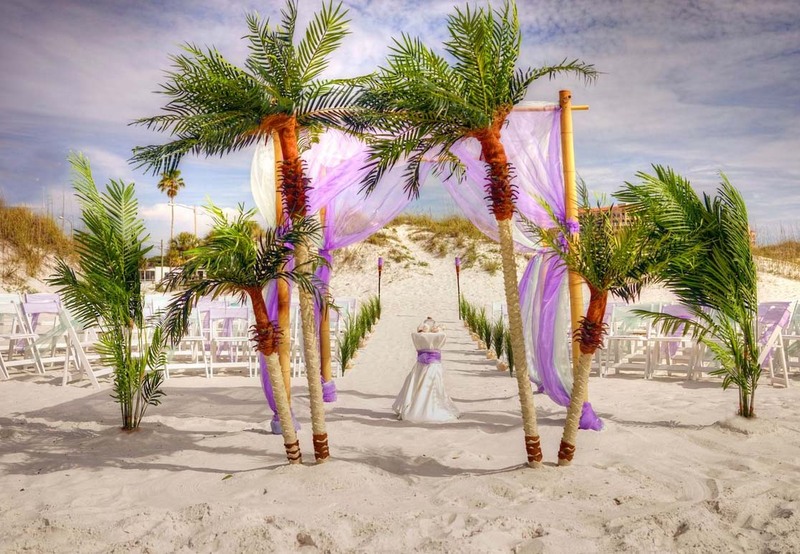 Immerse yourself in an oasis of tropical palms and a decorated aisle and stunning arch. 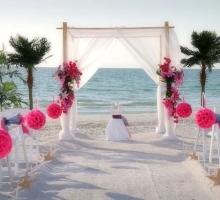 Walk to your groom along a trail of fresh rose petals to celebrate your love. 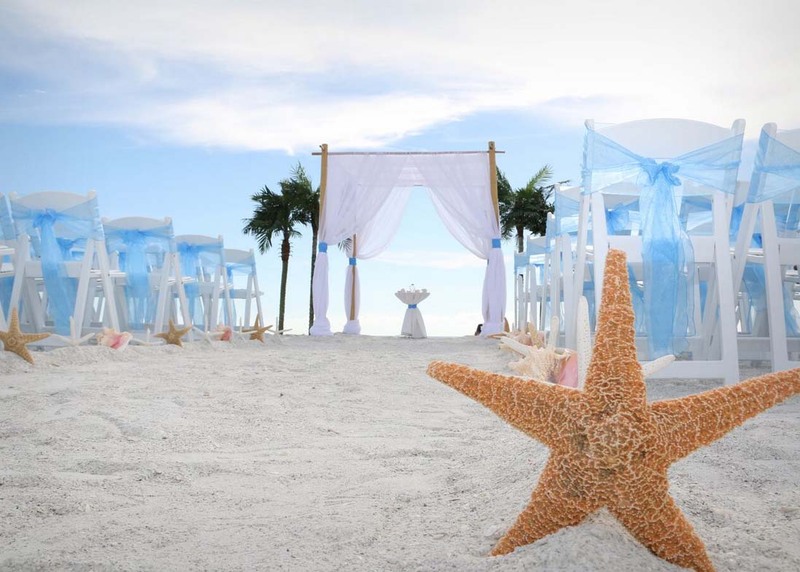 Blend together sand from each of your shells at the unity sand ceremony and then make a wish as you throw blessing stones into the surf. 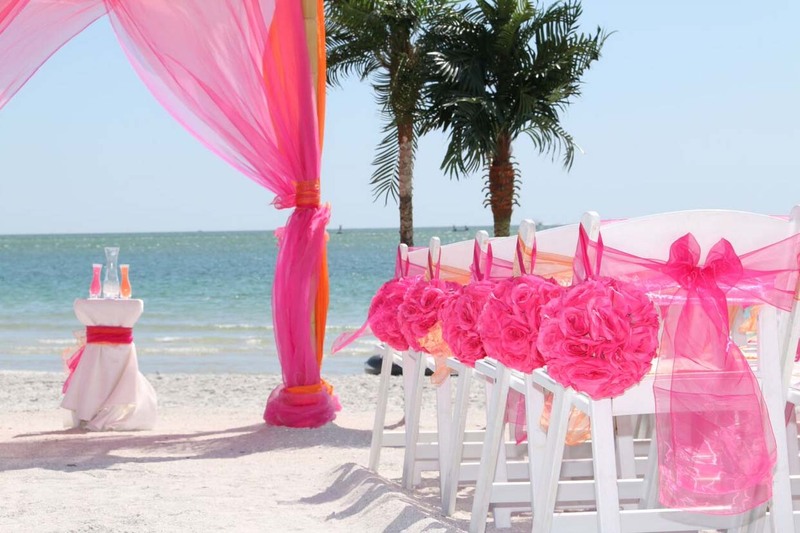 This is also perfect if you have a larger number of guests and includes more photo images, for a wedding in our Island Oasis will delight your senses and your soul.